Jaesook Ahn helps her husband run a grocery store in Eastend (population: 503). 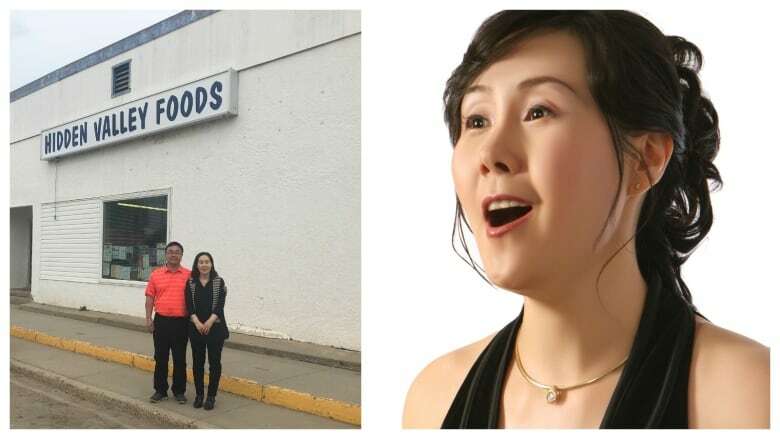 When David Gutnick discovered that Jaesook, now known as Jenny, was once an opera singer in South Korea, he convinced her to give a concert for her neighbours. When Jaesook Ahn was growing up in South Korea, she dreamed of becoming an opera singer and of performing on stages around the world. She went to a top-notch opera school in St. Petersburg and spent a decade training. She mastered Tchaikovsky, Verdi and Mozart, earned a PhD, and returned to Seoul to sing professionally. She never imagined that one day she would sing in a church in a small Saskatchewan town. Eastend, population 503, is tucked into the bottom west corner of the province in the Frenchman River Valley. 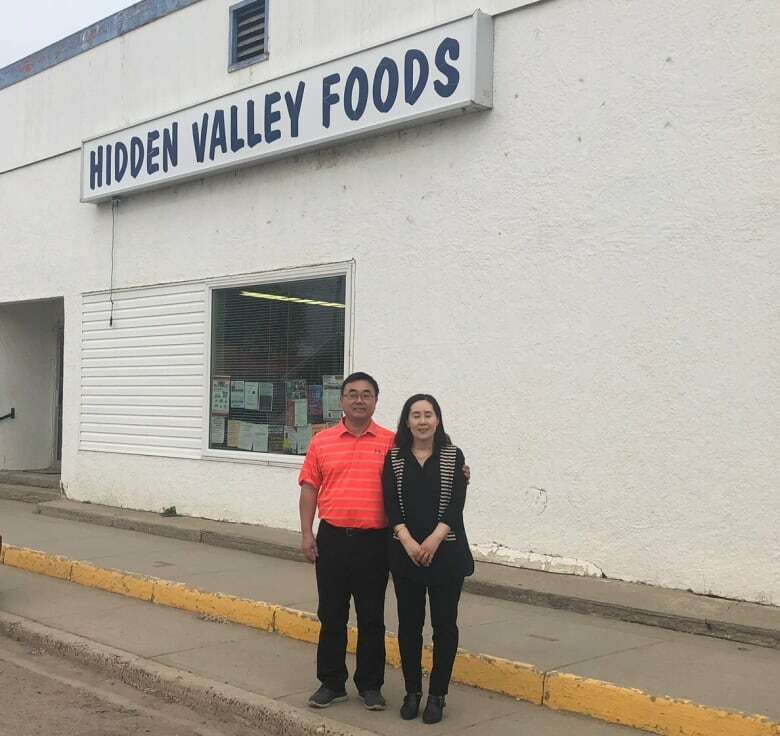 Tourism Saskatchewan calls it "The Valley of Hidden Secrets." One of those secrets is that Jaesook Ahn, now known as Jenny, calls it home. A little over a year ago, Jenny and her husband Eddie were living in Vancouver,when Eddie decided he wanted to go into business on his own. A friend told him that Eastend's only grocery store was for sale. He snapped it up, and the couple moved to the small Saskatchewan town. Jenny didn't bother to bring her musical scores. She assumed her singing career was over. 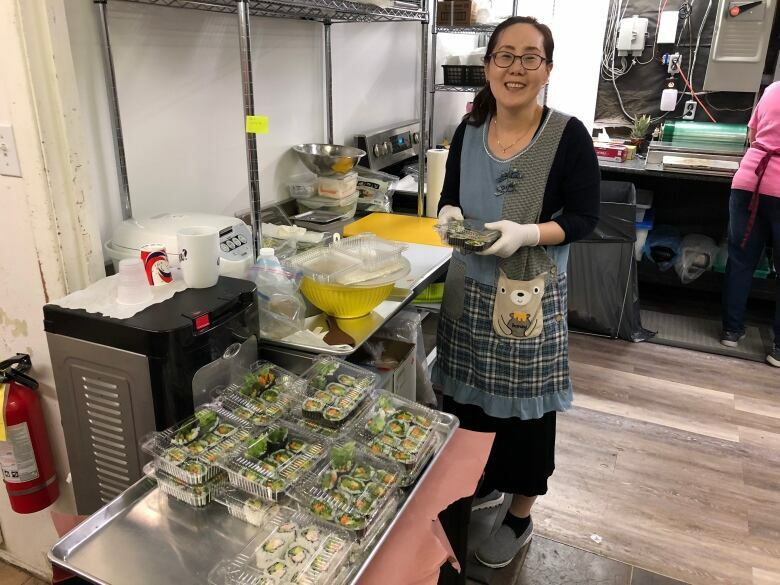 She began helping in the store, working the cash, filling the shelves, and — on Tuesdays — making and selling home-made sushi. When she tried to sing in her new home, her voice seemed blocked. She thought she was ready to move on. "If my mind is sad, I can't sing," she told The Sunday Edition's documentary producer David Gutnick. When Gutnick met Jenny and learned about her former career, he asked to hear her sing. She decided to give it one last go. 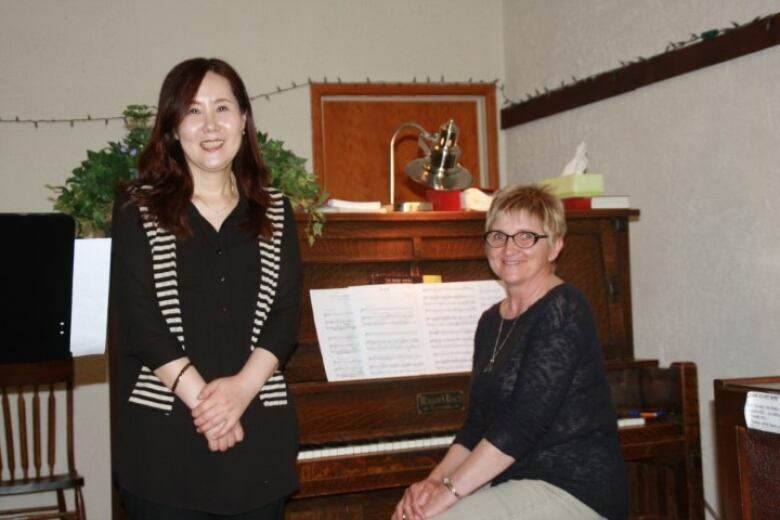 They found an accompanist in pianist Beth Lundsten, and downloaded two scores from the internet — O Mio Babbino Caro by Puccini and Dong Shim Cho by the Korean composer Sung-Tae Kim. Jenny and Beth practised a couple of times and then arranged to meet David in the church for what was planned as a private recording session. But somehow, word got out. The church was full. Jenny was the star of an impromptu concert. And she was surprised and delighted to find that her voice was as powerful and musical as ever. The audience gave her a standing ovation. Jenny still works at Hidden Valley Foods, but her talent is no longer an Eastend secret. She is now planning to give a full concert for all her neighbours, customers and friends in the months to come. Click "listen" to hear David Gutnick's documentary, "How Jenny Got Her Voice Back."